Continuing with my 'advice for therapists and hairdressers' series (see the tab below the banner for the link to my other posts) today's blog post is all about my general thoughts and personal policies. I am telling you my approach to my business and my personal rules that I stick to. Some of these you may not agree with or feel necessary and thats perfectly fine, it's your business and you say what goes. Without further or do, let's get into them! I just feel that wearing a uniform sets you apart as the professional therapist that you are, compared to the person who just does it on the side for an extra tenner. It doesn't matter whether you're mobile or in a home salon even, I think it sets an impression of you and what your business is all about. You want to be taken seriously as a business so you need to look the part as well. Personally I wear a tunic and black trousers but you could wear a t-shirt with the company logo on and smart trousers. Whatever you feel comfortable in but is still a professional appearance. Don't start rounding things down when a client has a couple of services. I used to hear the girl I worked alongside say "oh just give me £X" all day long. I also know someone who did that to me but it then felt like sometimes I was paying more than usual when she actually charged me full price. What I mean by this is although you want to keep your prices consistant as above, it's nice to throw in something a little special every now and again for your regular clients. If I notice my clients hands are particularly dry then I will mention it and then treat them to a luxury hand lotion with a hand and arm massage at the end of their service. I will add a little nail art without an additional charge for someone that doesn't usually have it. If a client shows interest in another service, for example they've mentioned that they might try getting their lip waxed at some point, I'll offer for them to try it free of charge today and see if they like the result. Generally it's things with a fairly low cost to me but they appreciate the gesture. See special offers post for all of my thoughts on this but as I say there, if you knew that all of your favourute food/ products/ clothes were going to be half price every other week you'd wait until then and never pay full price, would you?! 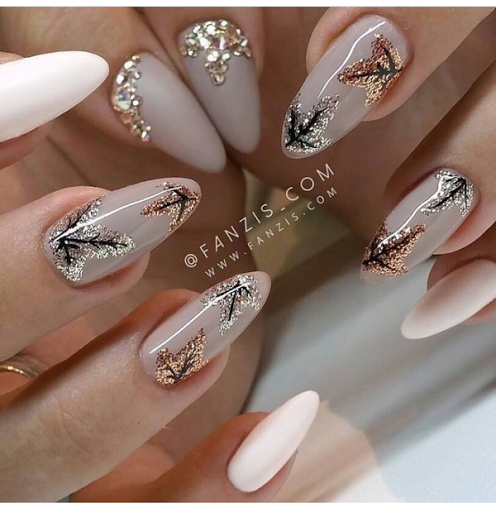 If you offer nails then make sure yours are alway done and eyecatching. It doesn't matter if you're handing over change in the supermarket, people will notice them more than you think. The same goes for spray tans or anything else you are trained in. This is for the above purposes! I have had shop assistants and a whole host of people comment particularly on my nails. 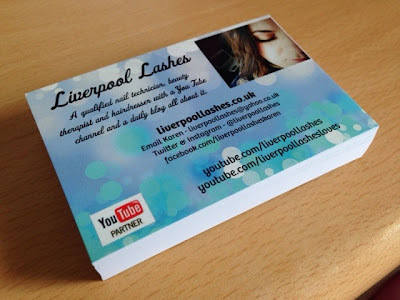 This is wear you whip out your business card and let them know that they can come to you and get them done like yours! I'm talking in terms of building your business, quitting shouldn't be an option. I've spoken frequently about the slow start to my business and more therapists than you'll even know have come forward to say that their experience has been the same. If you're pasionate about making this your career then you have to refuse to give up as you will get there, I promise. If money is tight one month, spend some time on ebay listing stuff that you don't need with the time you should be working. Its amazing the clutter you can get shut of. Whenever I did this it always made me feel like I was contributing to the bills too, which boosted my morale. Organise yourself to buy your stock on a VAT free day. Salon Services have VAT free days once a month, take advantage of this and buy any stock then. Obviously this depends on the brand of supplies you need but everyone needs couch roll, etc so be wise when you're restocking. I know my local beauty supply has VAT free days so just keep an ongoing list ready. 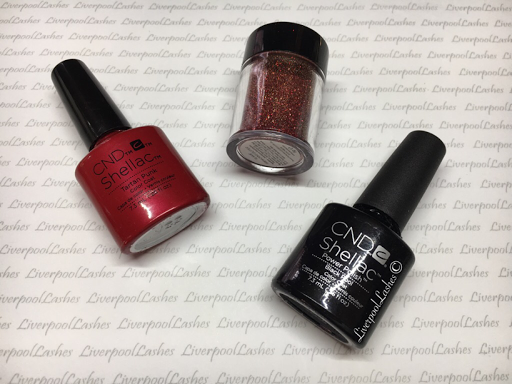 Also try and work out what is more purse friendly, perhaps the larger size acrylic powder might work out cheaper so save your money there and you won't have to think about repurchasing for longer. This is massively important to me as you never want to embarrassingly say to a client "no you can't have that done because I haven't got any in." It's down to you to keep a track of what you're running low on and make a note of it. I could tell you tales to make your toes curl of the girl I used to work with rushing to Boots at lunchtime to get cluster lashes for her next client or the time that she told me "the beauty supply store better have tan solution in as I have a four new clients coming in in an hour." Bless her, she unknowingly taught me how not to be. Remember never to talk religion or politics to clients, neither will end well. Try and ask them questions, this is as much therapy for their heads as well as for their fingers/toes or whatever. Everyone loves to chat about themselves. Pay attention to what they tell you, if they're going away then ask them how their holiday went at their next appointment. My memory is fantastic but as you gain more clients it can get more difficult to remember who is doing what yet I know they like that I have listened to them. If you're struggling with getting your times down then remember never to look up as you talk to them. You don't need to make eye contact to show them you're listening. It's a skill in itself but if it helps, ask them questions that require a big explaination so you can get on with it. 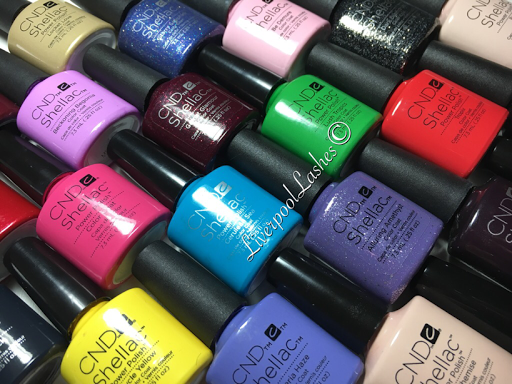 When it comes to cuticle work, pay the most amount of attention to the corners of the nail plate, that's where the stuff is lurking that will ensure your enhancements lift. 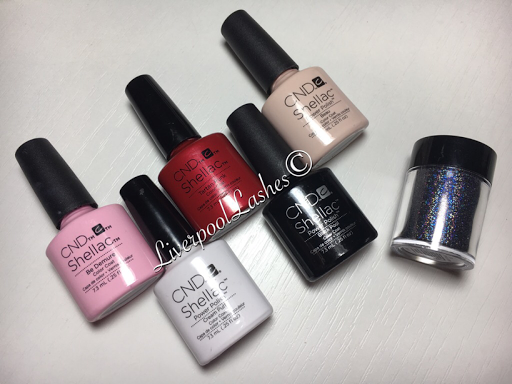 Pay even more attention to it with toes as it can be more overgrown if the client doesn't have regular treatments and will successfully help Shellac to peel. Keep your hygiene to an excellent standard. If you cough then try and do it discreetly away from the client and wash your hands or if not, slap some anti bacterial gel on. If you drop a file etc remember to fully sanisitize it before you use it. These days I don't book my clients back to back but Christmas time I will, I'm tidying as I go and fixing everything up as their paying me at the end. It's actually amazing who knows who. I will say general things like "oh yes the lady this morning has just bought one of those and loved it!" but that's as far as it goes. Clients can tell you an awful lot of personal information and it needs to keep safely locked up inside your head, you don't want to be known as someone who can't hold their own water. When it comes to the more intimate services like waxing or spray tans, try to think how your client would feel. I keep myself chatty, respecting their privacy at the more vulnerable moments and offering certain things as I see fit to make them feel more comfortable like a towel or couch roll. If you're doing a service that involves the clients eyes being shut like tinting or lashes, remember to talk them through everything you're doing before you do it. If you were lying there without one of your primary senses then you would jump too if all of a sudden, someone touched your face or whatever! I know sometimes it's easy to assume that they will know what to do but that's because it's old hat to you, to them it's not something they have probably thought about in a long time so it's highly likely you'll need to jog their memory. I know the thought of asking clients if they want to rebook can be a huge moment filled with dread at the start, but it is good to get into the habit of it if you think they've enjoyed what you did. I'd probably say that if they've been to you three times then I would definitely ask as they're just about to leave, "did you want me to put you down for your next appointment?" What's the worse that can happen? They've been to you three times at this point and if they really don't want to they will tell you they'll get in touch with a day or make an excuse up. The chances are they will rebook though. It took me a while to finally brave it enough to ask but for those that you know will probably return and have a potential of becoming a regular, it's best to get their appointments down so that you don't look at blank pages ahead. It's a good morale boost to see those names down. In a round about way, tell your clients what excellent customer service you offer. For example I would tell my clients about real scenarios that happened like "oh well I was here at 7.30 this morning as I opened up especially for a lady going on holiday. 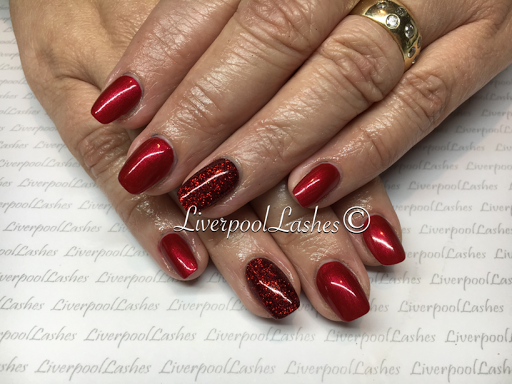 I don't mind doing that for people as I will work around them if it helps" or "I've just done a lady's nails for her wedding and when they were complete she had tear in her eyes and said they were so beautiful. It was such a nice compliment." I don't mean go over the top with it but it's planting the seed that you are good and many people are happy with you and equally, assuring your new client that they made an excellent choice in booking you. Dare I say it but... I've never had a complaint. I would say however that if one did arise I would be calm but fair. If I think that there is evidence that the client has been abusing her enhancements and that's why one has pinged off then I would say without any hesitation. It's the way you tell them that's the key. I would just point out that the marks on the nail show me that the nail has become detached with a force, therefore the repair will be X amount. Strangers have no loyalty to be kind or polite but if they approach you in a reasonable manner then I would assess the situation and resolve it. If it's a grey area and I do the repair/replacement for them, I would politely tell them that any repairs etc beyond this would be chargeable. Research the brands when you're choosing to invest in a new service. Find out reviews, ask around and see if the brand lives up to the claims. Check if it's easily accessible and the costs. I would check the general price for the service in my local area too to see if it's worth the investment. You could even book yourself in for the treatment to see if for yourself. I would even casually ask the therapist if they do many of them in the salon. All investments are huge when you're trying to grow a business, both in the training of it and the stock so it's a no brainer that you should know your market. Even turn up ten or fifteen minutes earlier and wait around the corner. Your clients will notice that you stick to your word and that you're reliable. Actually on my therapist business cards I have three words "professional, friendly, reliable" because it's what I've built my reputation to be. They make an amazing last minute gift. Some of my regular clients are actually people that received a gift certificate having never been to me before and then just continued to book on a fortnightly basis. I would think nothing of a little self promotion if it's said without being cheesy. For example if someone mentioned that they had a get a mothers day/ birthday/ Christmas present and they weren't sure what to buy them, I would ask if the person liked to be pampered and laughingly say that I have gift vouchers available. Depending on the response I'd even be tempted to throw in that at least their nails will be done all special for their celebratory meal/party/holiday too. Do I come across as clever? borderline hilarious? It's all about how you say it, if you say it in a cheesy way then it translates into a cringey conversation. If you say it with a little laugh then you can get away with all kinds. We're not doctors, we're just here to make stuff look pretty. Leave the serious bits to the walk in centres and just gently advise your client to get it checked out. I don't mean bombard them with loads of stuff at once to confuse them but many prefer a visual reference of what they're after so that they can make an informed decision. Choice is a key thing as it stops your clients getting bored and by introducing fresh ideas it keeps the appointments coming. Try your best to not let your person preferences sway the clients decision. 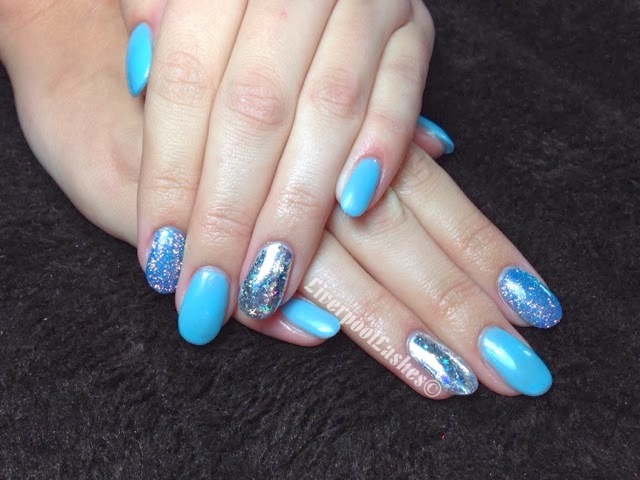 This was actually feedback given to me by a friend when I qualified as she had previously gone elsewhere and was fed up of picking something for her nails and then being talked out of her choice, into something the nail tech wanted to do instead. If the clients paying for them then they should always get the final decision, regardless of if you knowing it's going to hideously clash. This probably sounds like I'm contradicting what I said earlier about the little gestures for regulars but I'm talking full blown treatments here. What I mean is, if you want to do a special offer than do it as a "book this and get that half price" but never free. Free means that you're not even covering your costs for the service and typically devalues it as you can clearly afford to offer it for nothing. If a client has booked a long way in advance and you've not spoken since, send them a courtesy text message or phonecall a day or so before to gently remind them. I learnt this the hard way on my first Christmas in the job. All I'm saying is two friends. Fingers and toes each. 23rd December. No show. "Forgot." Enough said. I adore French bulldogs, I just think they're so adorable and there's something about the way they run with their little legs...! Anyway I decided to do French bulldogs on my nails for a bit of fun. I haven't filmed an actual nail tutorial since June last year so I hesitated but decided to go for it and film this one for you all. I did the glitter on my thumb because I just had to incorporate some sparkle somewhere! 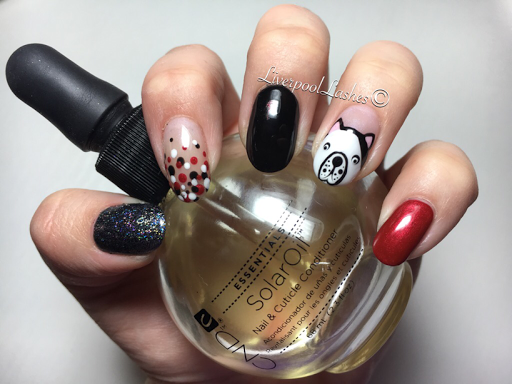 Here's my nail tutorial video for this design! You know, I've thought about this post time and time again. I wasn't sure what to say, what to keep to myself and what to tell you. I often don't share these posts around like I do with my nails and beauty posts as originally they were meant to be for motivation and that's what I felt they were doing for people but then my life turned upside down, my healthy eating and new found strength to stop binge eating went away and I was back left with my daily struggle with food. I've hit a point now where as I've put so much of the weight I lost back on that I feel very uncomfortable and I'm starting to feel the symptoms of being massively overweight again. The worst one for me is I'm struggling to get up off the sofa as I can literally feel the weight pulling me down. I can't believe I've done this to myself but then I can't dwell on that as it's wasting time when I could be changing my body back. I'm sick of fighting this, I'm sick of feeling down about it now as i'm starting to not want to go places and reluctant to walk anywhere again and let people see me. 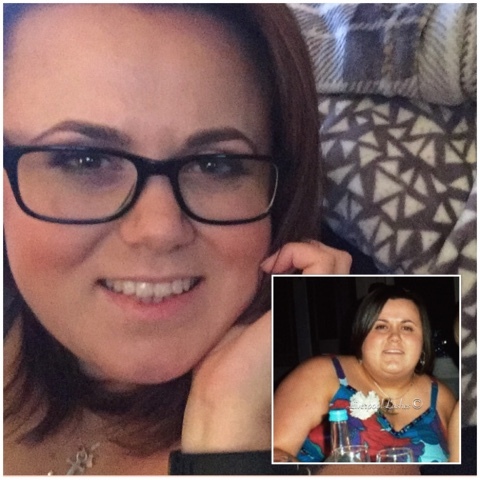 To some they'll wonder why if you want to do something, you can't and that's the big question with weight loss. I have around 6 weeks before I go to Las Vegas so I want to hopefully start tomorrow back on track and shift some weight again for then as there's really no reason why I can't be a stone closer at that point. I hope that my next weight loss post will be a good positive one as at this point, I'm at my wits end with it.